I've got something quite different for you today. Author Robert Southam has written a guest post about the setting of his book, The Snake and the Condor, a Romeo and Juliet story set in London and South America at the time of Pinochet’s dictatorship in Chile. 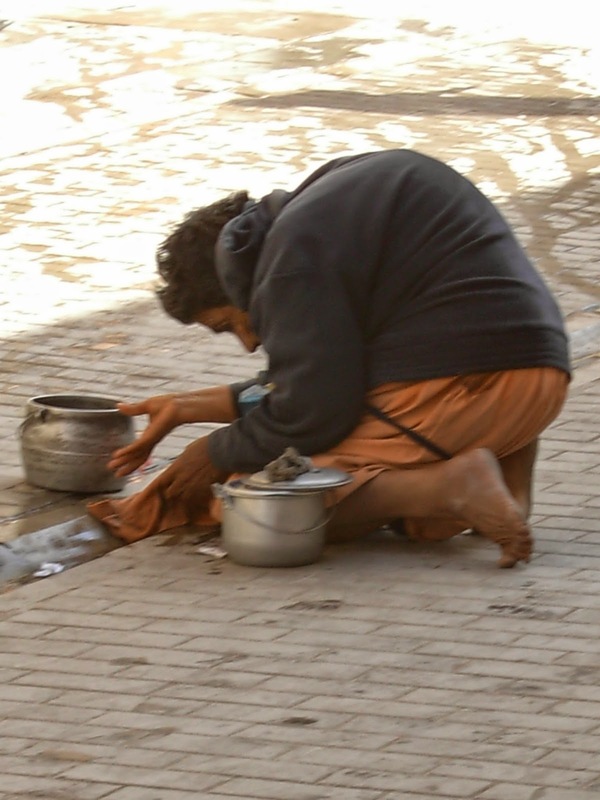 The poverty in large areas of Latin America shocks you, mesmerizes you. You canʼt help stopping and staring, like all those drivers you despise for crawling past the wreckage of road accidents as they gawp at the pools of blood, and bodies on stretchers. You stare at the corpses of mothers and children who have died of starvation begging in the run-down areas of Lima; at the street sellers in the towns and villages of the Andes, sitting at the roadside hunched over their empty stomachs, with nothing to sell but a handful of oranges or a few bunches of the wild flowers they have picked; at the old widows who canʼt afford water from the water-lorry and have only the gutter in the middle of the street to wash their clothes. You long to help but what can you do when half the population are starving or growing weaker and weaker from some easily preventable disease? Death keeps watch day and night outside the door, if the flap in the cardboard shanties most of them live in counts as a door. There are few places in the affluent world where you will receive the warm, smiling welcome given by the shanty-dwellers of El Salvador in Lima, the Quechua or Aymara ‘Indians’ living in crumbling, windowless adobe huts without heating or insulation high in the Andes, or the Mapuche people of Chile in their thatch rukas among emerald lakes and on the Pacific coast a thousand kilometres south of Santiago. If they have bread, they will share it with you. If they own a stove or can make a fire, they will ply you with cup after cup of maté. There is no self-interest. If you offered them money, they would shake their heads. Their hospitality is never measured out. They treat you as a friend, because life is too short for enemies. Why save your bread and maté leaves when there may be no tomorrow? Material help from first-world countries, a fair price for their coffee and mahogany, recognition by their own governments, who offer no social security, would transform their lives. The values that sustain them – community and family cohesion, neighbourliness, open-hearted generosity, patient endurance – would in return transform life in the affluent West, as coffee once did, and would cost nothing. Indigenous South Americans havenʼt always been poor and disadvantaged. Pre-Columbian societies were in many ways more socially and economically developed than those of Europe. Then in the early sixteenth century the Conquistadores arrived from Spain, slaughtered large numbers of inhabitants, seized the wealth of the Inca Empire, replaced social order with gangster-led terror, forcibly converted the population to what they called Christianity and, with the Portuguese on the other side of the continent, did their best to kill the gods of South America. Of the many South American dictators, only one or two have lifted a finger to help the poor of their countries. Most depend on the support of wealthy, land-owning minorities. Most have no social policy and mismanage their economies so badly that they are forced to sell out to first-world countries or international banks. Salvador Allende, the democratically elected president of Chile, tried to take land away from the élite (1 per cent of the population owned more than 90 per cent of Chile) and redistribute it more fairly among his compatriots. He was gunned down in the presidential palace by General Augusto Pinochet and his henchmen. Pinochet seized power and set about arresting tens of thousands of Allende supporters, torturing them to death or throwing them live down mineshafts or from aeroplanes into the Pacific Ocean. It is against this historical and political background that my latest novel unfolds. The Snake and the Condor is not a sermon or a lecture but a love story, an adventure story, as the best-selling writer who generously endorsed the book and the reviewers for a national newspaper and literary review have encouragingly confirmed. The Snake and the Condor is a meeting-point of wealth and poverty, Mapuche subjection and Hispanic control, freedom and oppression, Christianity and indigenous beliefs dating back thousands of years. The love story has echoes of Romeo and Juliet, even if Tybalt and Paris are rolled into one and racial discrimination replaces the conflict between Montagues and Capulets. As in Romeo and Juliet, the obstacle to the young loversʼ happiness is Julieta Reyesʼ father, an apparatchik of one of the cruellest tyrants of the late twentieth century, Augusto Pinochet. The story begins and ends in Chile. The lovers’ escape from their heavily fortified country takes them through Bolivia and Peru, pursued by Franco Reyes’ agents, who eventually capture them. After a daredevil escape they arrive in England, but even here they find no refuge. Their flight through Chile, Bolivia and Peru is as much a journey of discovery for Julieta and Ñankomawizantu as it is for the reader. They discover that South America is a continent where heaven and hell meet, where towns and villages are demolished and the countryside ravaged for the benefit of foreign mining companies, where striking miners are massacred by soldiers, where the hard-working poor suddenly find themselves unemployed and left to die of hunger by their wealthy employers, where millions of men, women and children have no roof over their heads; but also where the resources of kindness and hospitality are as great as those of copper and gold, and where nature has blessed the land with an abundance of fruit, flowers and magnificent scenery. Time stops for Julieta and Mawi during their flight from Chile when they reach the Isla del Sol in the middle of Lake Titicaca. They learn that it was in this place of elemental beauty, of azure skies and water, of black rock and white mountains seven thousand metres high, that the Inca gods chose to make their home. Julieta and Mawi are filled with peace and feel protected by the spirituality of the island. They are jolted back into escape and flight but are determined to return to a corner of South America undiscovered by the Spanish conquerors. Our identity and culture are defined by the gods we create. The Conquistadores never reached the Isla del Sol and were never able to kill the gods and goddess of the Incas. Viracocha, Inti and Pacha Mama live on in their island refuge, and the identity and dreams of an important group of indigenous South Americans are safe in this expanse of water and sky far above the clouds among the highest peaks of the Andes. For details of The Snake and the Condor go to www.johnhuntpublishing.com and for more on this and my other books visit www.RobertSoutham.co.uk, where you will also find a twelve-part blog on South America, illustrated with dozens of photos taken during my months there. 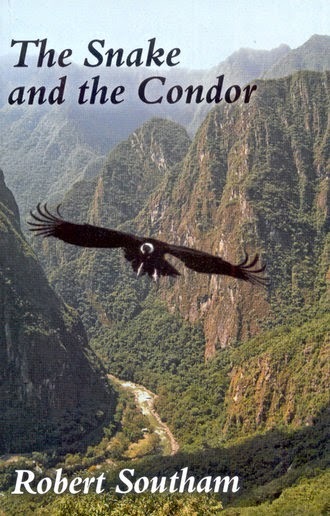 50 per cent of royalties from The Snake and the Condor will help an Andean weavers’ guild to train some of the ablest villagers in the Cuzco area of Peru to read and write first in their own language, Quechua, then in Spanish, and to teach what they have learnt to other adults and to the children of their communities.